It is almost time for the BEST part of Thanksgiving. If you would guess the big meal itself you would only be half right. My favorite part of this feasting holiday would be the day AFTER the big event when the left-overs roam free! 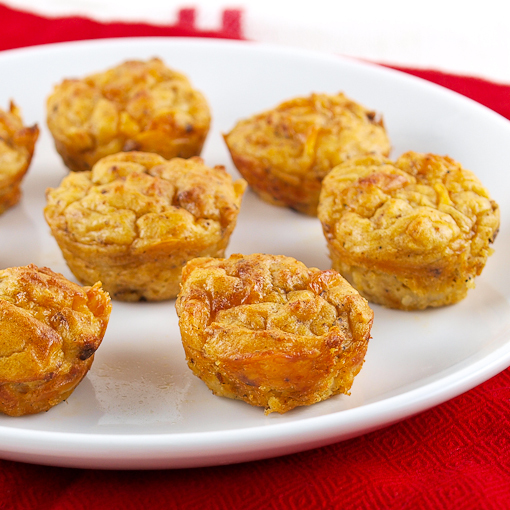 I love left-overs more than the actual meal because they can either be reheated and eaten as is, or they can be transformed into all manner of interesting dishes like soups, casseroles, or in this case … delightful little puffs! 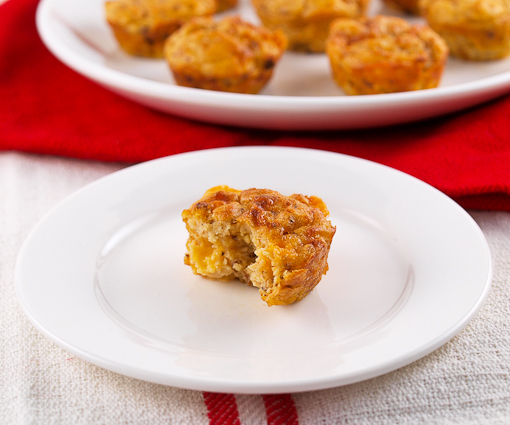 This recipe has a distinct Tex-Mex flair, and would be good as an appetizer, served as a side dish for brunch, or as a little dipper to go with some soup. 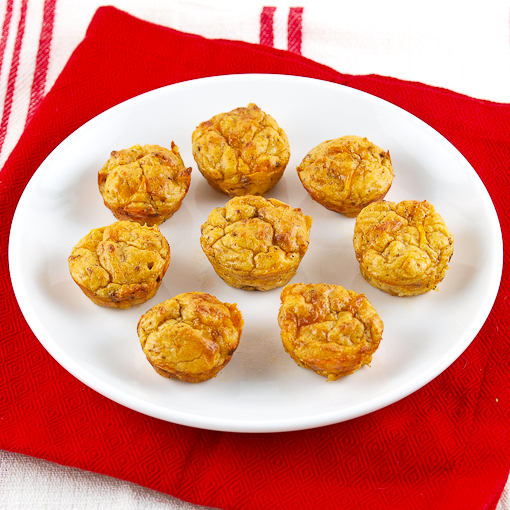 The chorizo packs a lot of flavor, spice, and makes the puffs very savory. This recipe works best with potatoes that are no too wet, so if your potatoes are even a little soft or runny after chilling you may want to add a tablespoon or two of flour to stiffen then up. 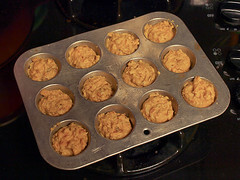 Heat the oven to 350 F and spray either a 12 cup muffin pan, or a 24 cup mini-muffin pan with non-stick cooking spray. 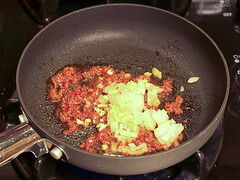 In a medium skillet over medium heat cook the chorizo until it is slightly darker in color, about 5 minutes. 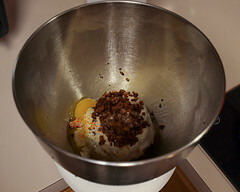 Add the onions and cook, stirring constantly, until softened, about 2 minutes. Add the garlic and cook until fragrant, about 30 seconds. Allow to cool for five minutes. 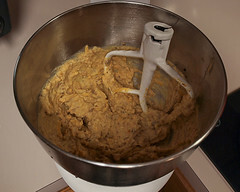 In the bowl of a stand mixer fitted with the paddle attachment, or in a large bowl with a hand mixer, combine the chorizo mixture, mashed potato, eggs, and cream until smooth. 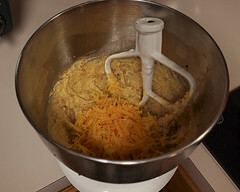 Fold in the shredded cheese. 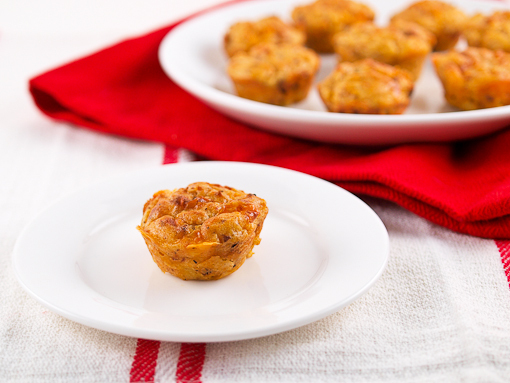 Divide the potato mixture evenly between the prepared baking cups. 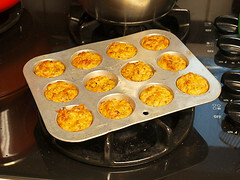 Bake for 25 to 30 minutes for large puffs, 20 to 25 for mini puffs. © 2011 – 2014, Evil Shenanigans. All rights reserved.